My stylish lady participates in the following challenges: Digitally Sweet & Dream Valley (Favorite Colors: Turquoise & Brown, especially as fall is approaching - eeks! ), Inky Impressions (AG), Bearly Mine (AG), Creative Knockouts (Happy Birthday), Cute Card Thursday (Vintage), 613 Avenue (AG/For a Friend). 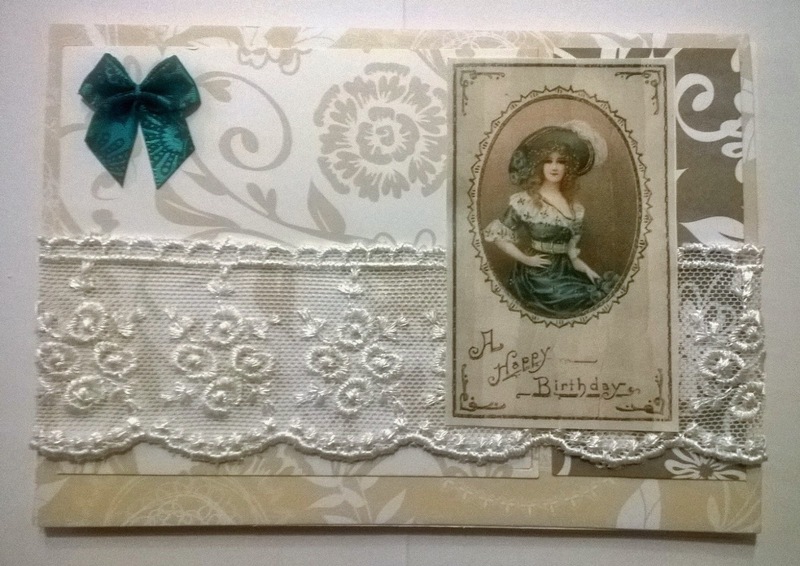 Lovely elegant card. Thanks so much for joining us over at Bearly Mine Challenges, good luck and hope to see you again. A Beautiful card, so elegant. Thank you for joining us at Digitally Sweet! Lovely vintage card. Thank you for joining us at Digitally Sweet.